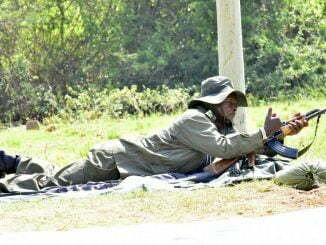 One of the cattle keepers herding his animals. Courtesy Photo. More than 580 cows have been stolen from Nebbi district within a space of one year, the LC V Chairman, Esrom William Alenyo has revealed. The latest occurred on Monday morning in Nyamucara village in Kucwiny sub county where residents intercepted unidentified men loading more than 100 cows on a Fuso truck registration number UAV 833W at around 3am. The suspects fled the scene leaving behind the truck driver identified as Moses Chebet. Ley Francis Okumu, the Acting Officer in Charge of the Criminal Investigations Department at Nebbi Central Police Station, says residents hacked Chebet on the head before he was rescued by Police. According to Okumu, this is the ninth case of cattle theft in the district within a space of one year. Okumu explains that after his arrest, Chebet told Police that he was hired by 6 balalos from Arua to transport cattle from Kucwiny Sub County to undisclosed location. He however, says the balalo abandoned him when they saw angry residents and fled into hiding. 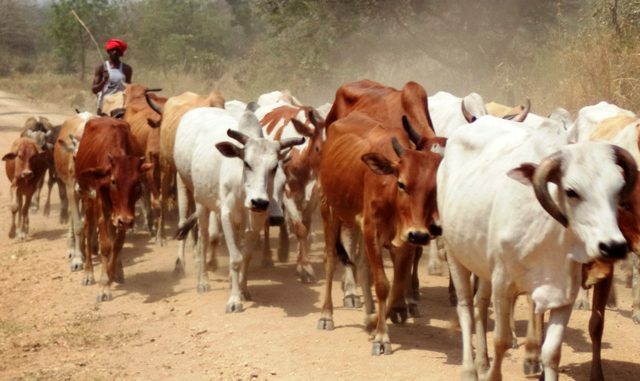 Solomon Opio, the Nyamucara village LC I Chairperson, says they have been reporting the cattle thefts by Balalo herdsmen to Police but has been nothing has been done forcing the community to take the law into their hands. He asks the district to intervene, saying they are losing most of their animals to balalos who come from as far as Luweero with Lorries to steal animals at night. 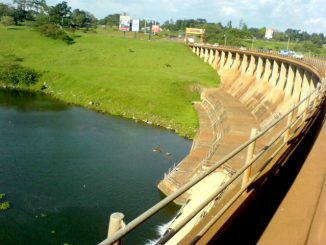 Esrom William Alenyo, the Nebbi LC V Chairperson has called for increased vigilance from residents. He asks residents to report any suspicious people within their communities for possible action by the authorities. Nebbi Resident District Commissioner, Modesta Ajilong, says she has received information that the cattle thieves always hang around Rome Guest House in the municipality. She has promised to watch the guest house closely as investigations into the cattle thefts continue. She attributes the repeated cattle thefts to insufficient police man power at sub counties to conduct night patrols. Ajilong advises sub county authorities to identify able bodied men to join police in night patrols to curb the cattle theft.